Modern businesses are, by their nature, complex. But if you're using an accounting system that forces you to struggle with manual processes—limiting your flexibility and draining your productivity—you might as well be stuck in the Stone Age. But there's great news! 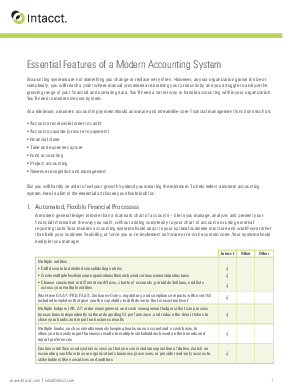 It's 2014, and there's never been a better time to make the move to a modern accounting system. Automate financial processes and optimize workflows to fit your organization's business processes. Access real-time data to drive business insight and improve decision making. Lower IT costs and reduce technology risks with a best-in-class cloud architecture.